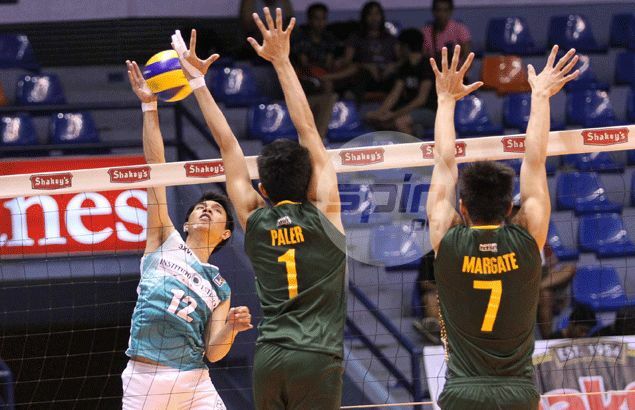 INSTITUTO Estetico Manila, which ruled the inaugural Shakey’s V-League men’s crown late last year, braces for a tougher challenge from a bigger, deeper field in the first-ever Spikers’ Turf firing off on April 5 at The Arena in San Juan. The Volley Masters pulled through against the Systema Active Smashers in the decider of a sudden death to top the four-team Shakey’s field and now see action in an eight-team volleyball tournament presented by PLDT Home Ultera. Renz Ordonez, Rudy Gatdula and Eden Canlas have moved to their mother team Cagayan Valley, leaving IEM without three key players. But head coach Ernesto Balubar remains upbeat of their chances as he pins his hopes on Jason Canlas, Karl Ian de la Calzada, Jeffrey Jimenez, Carlo Almario and Michael Conde. Backstopping the team are Reyvic Cerilles, Evan Raymundo, Salvador Timbal, Guarenio Gianan, Jophius Banang, Carlo Cabatingan, Ivan Bacolod, Areem Tamayo and Kirk Biliran. Aside from IEM and Cagayan Valley, the Spikers’ Turf also has Cignal, Fourbees, Air Force, Army, Ultera and Champion Infinity, formerly Systema. A single round elimination will be held, with the top four advancing to the semifinal round, another single round-robin stage with the top two clashing for the crown in a best-of-three title series. Matches are set Tuesdays, Thursdays and Sundays starting at 9 a.m. to be telecast on a delayed basis on the same night of each playdate over PTV-4. Howard Mojica, who powered Emilio Aguinaldo College to its first-ever NCAA crown, will lead the Ultera team that also includes St. Benilde’s top hitter John Vic De Guzman, while Army has Greg Dolor, Patrick Rojas, Antonio Torres, and Jaidal Abdulmajid. Cignal will be spearheaded by Reyson Fuentes, a member of the UAAP champion National University; Fourbees will be led by Perpetual Help’s Warren Catipay, Jack Kalingking, Neil Ytorzaita and Allan Jay Sala-an; Air Force will be headed by Jeff Malabanan, Clarence Esteban and Dante Alinsunurin and Jukran Hamdan; and Champion Infinity will be backstopped by Chris Macasaet, Chris Antonio, Syl Honrade and Richard Gomez in the tournament organized by Sports Vision and backed by Mikasa as the official ball and PTV-4 as official television station.